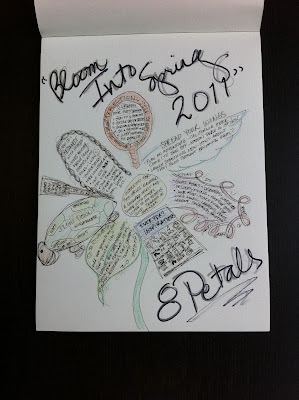 a dear bloom into spring teleclass (now available on demand) participant (the oh-so-lovely priscilla) sent me this image last week. i had to post it as blooming into spring is still fresh on my mind. 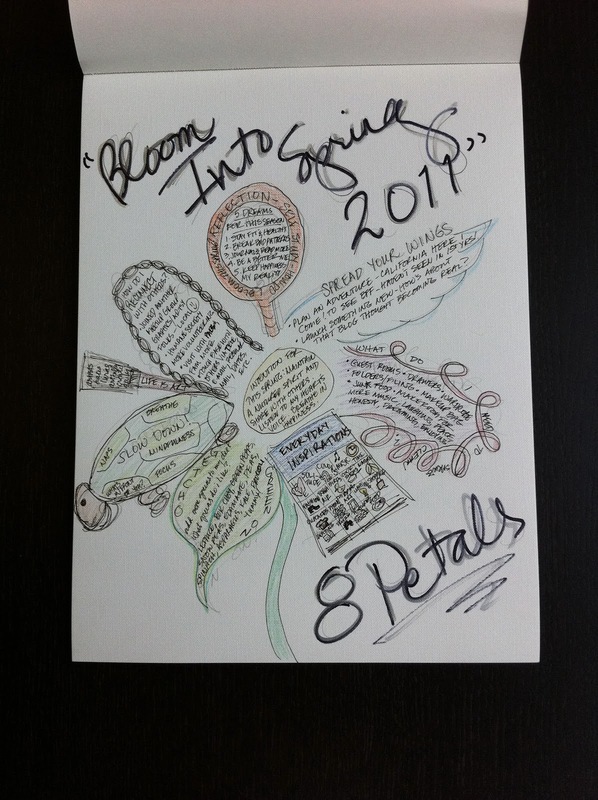 last weekend i crafted my bloom into spring dreams and i continue to ponder the changes. however, i'm hoping to embrace it with BIG, open arms. i've gone through my beloved planner pad and set aside fridays for creative space (sewing, painting, designing, gardening, writing), hope to indulge in a full day off each week (ok, or second creative day), look forward to being at tranquil space studios more often, and volunteering at the pig sanctuary and n street village regularly. i love changing seasons and schedules. there is something so fresh and invigorating about them, but also scary in that they change routine. i remember being like this in college, too. adjusting my volunteer, work, and sorority schedule each semester to align with my new school schedule. it always took a week or two to acclimate. thank goodness i enjoy change and crave innovation, it's just the blank space that scares me. while the world continues to turn, my schedule shifts, and i get to return to nurturing my creative spirit weekly, i hope that you, too, are finding ways to explore blooming over the next three months. spring TranquiliT has launched, the semester is coming to a close, cherry blossoms are in full bloom, and the weather is warming. may this season's changes help ignite an innovative spark within.